I don’t normally mix work and offtime but I need to show you this. What is Club Bing? Club Bing is a bunch of games related to searching that Bing.com hosts at http://www.clubbing.com (I know it seems like it should be a nighclub site but, no). 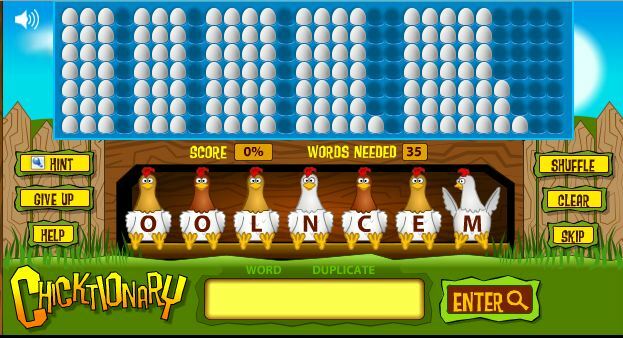 So I went over to Chicktionary during my lunch breaks. 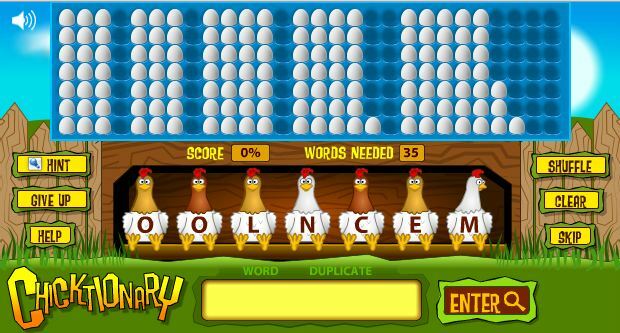 It is an anagram, word extraction type game. 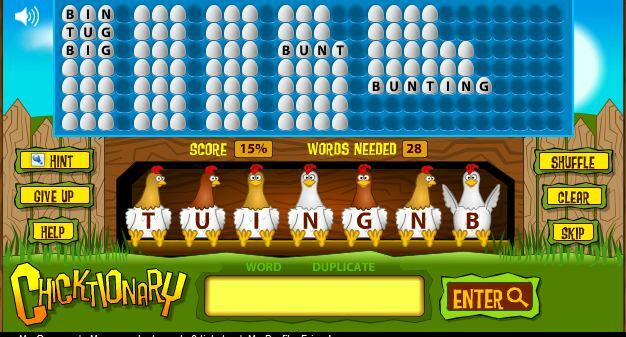 You create words from the letters you are given and the score/words are kept on the egg rows. It has a completely over the top twangy theme song and then the sound effects kill me. 🙂 Also, the chickens don’t sit still while they wait for you to type out the words you find. For a view of what a partially completed game looks like…(there’s no timer, you are just going for higher scores and higher tickets). This entry was posted in Uncategorized and tagged Chicken Culture, gamer chicken. Bookmark the permalink.